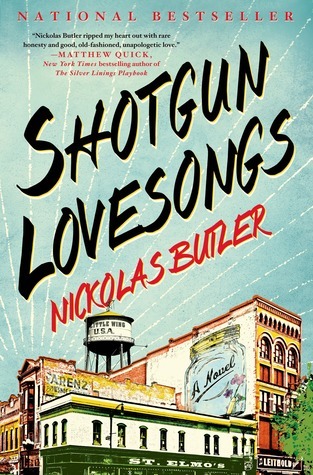 This novel is a lovesong to small town America and the struggling people who inhabit it. Written from the point of view of four life-long friends and the wife of one of them, it details their struggles to stay together in friendship and discover their adult selves in terms of past glories and failures. It is a type of novel that many people are just going to adore, because it has some psychological depth, steeped in realism, and in the end is uplifting, warm, and generally ‘feel-good’. Despite their struggles and faults all the characters in this book are really good people at heart, people who want the best for their family, their friends, and their small home town. They slip up, they aren’t perfect, but they in the end they are loyal and true. Strong midwestern folks all. In fact, the only character in the entire book who isn’t portrayed this way is a Hollywood actress who never wants anything to do with the small town and its populace, a person of the city and ultimately selfishness. In a certain way, this all makes the novel rather simplistic, and despite its ‘realism’, somewhat contrived and a little too worshipful of a type of life and ideal person. Yet still, Butler makes it work. With something that could easily turn sappy and saccharine and utterly disingenuous and trite, Butler manages to keep things balanced between a realism and some midwestern ideal that is this lovesong. The majority of the narrative comes from the point of view of three characters, the most sincere and virtuous ones at that, but Butler intersperses those with the points of views of those that are not ideal, those that may still be lovable, but are still clearly damaged and weak. If you want a warming and ultimately optimistic literary read of small town America then this is certainly something you should check out.